If you are looking to book a room at a hotel in Stockholm for your incoming trip to Sweden I want to recommend you Clarion Hotel Sign. 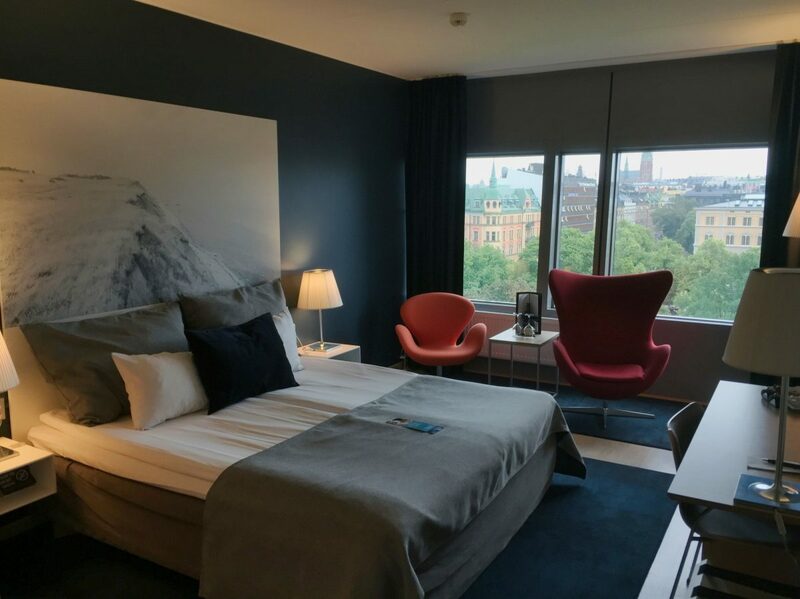 It’s been a while since I wanted to book accommodation in this downtown 4 star hotel and finally we had the chance to include it when visiting Stockholm during our one-month long roadtrip in Sweden. 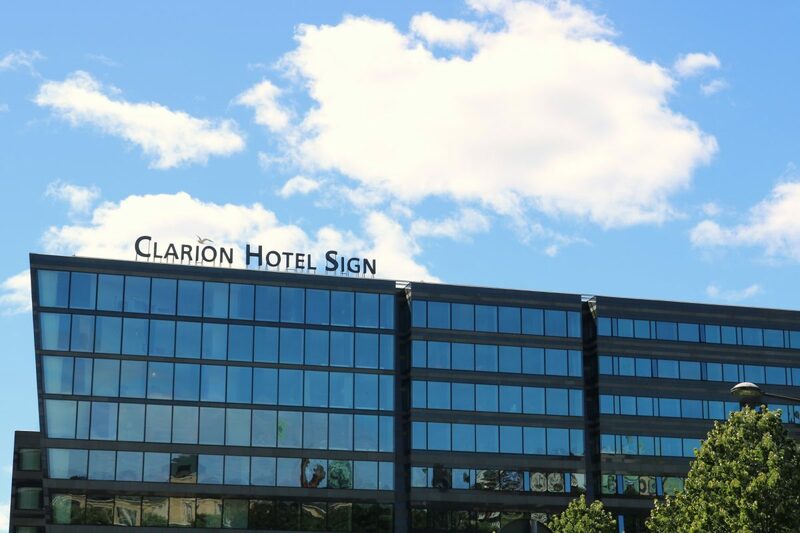 Clarion Sign belongs to Nordic Choice Hotels chain which is one of the biggest hotel chains in Scandinavia with over 190 hotels all over the Nordic countries. As a curiosity Clarion Sign is the biggest hotel among all Clarion hotels to date and it’s the biggest hotel in Stockholm with 558 rooms. 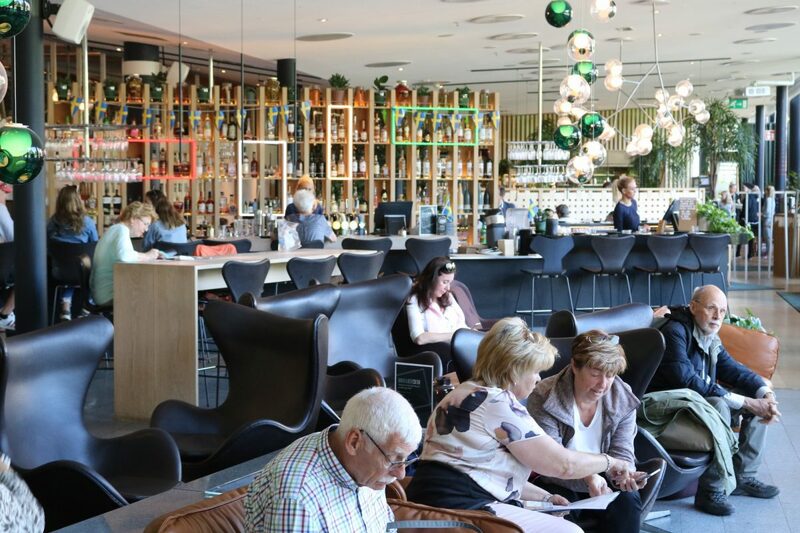 Being such a big hotel allows for plenty of people inside its public spaces which makes it full of life at any time. However it is also a hotel to get some relax. However that is something to be taken care of at superior floors (more on that later). By the reception it is life that matters. I love Clarion Sign, specially, because of its downtown location but not being located in relatively noisy Vasagatan street. 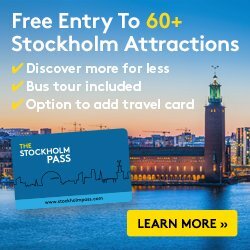 In spite of that it’s a 3-minute walk to Stockholm’s main metro station T-Centralen, to the railway station, to the Arlanda Express fast train and to the buses that take you to the airport. Walk 5 minutes in another direction and you are in the middle of Drottninggatan – the main shopping area in downtown Stockholm, Hötorget square and its ground and underground markets or iconic Sergels torg square in the heart of the quarter known as City. Dealing with Sweden means design is something to be present everywhere. At Clarion Sign it doesn’t only mean the building or the structure but also the interiors. At Sign each floor is designed by architects and decorators of Scandinavian origins. Thus Norwegian, Swedish, Danish and Finnish designers are accountable for the look and feel of one or more floors, their rooms and even pictures in them. Depending on where you get your room you will be enjoying different samples of Scandinavian design. If you are traveling with kids and want to book accommodation for the family the rooms at Clarion Sign can accommodate between 2 and 3 extra beds to have your kids as close to you as possible. 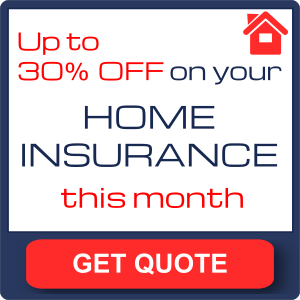 If the kids are a little older and you want them a bit on their own you can book a so-called “teenager room” which is a single room next to your own room at a better price. One thing I really love about hotels is when they provide me with great views over the city. 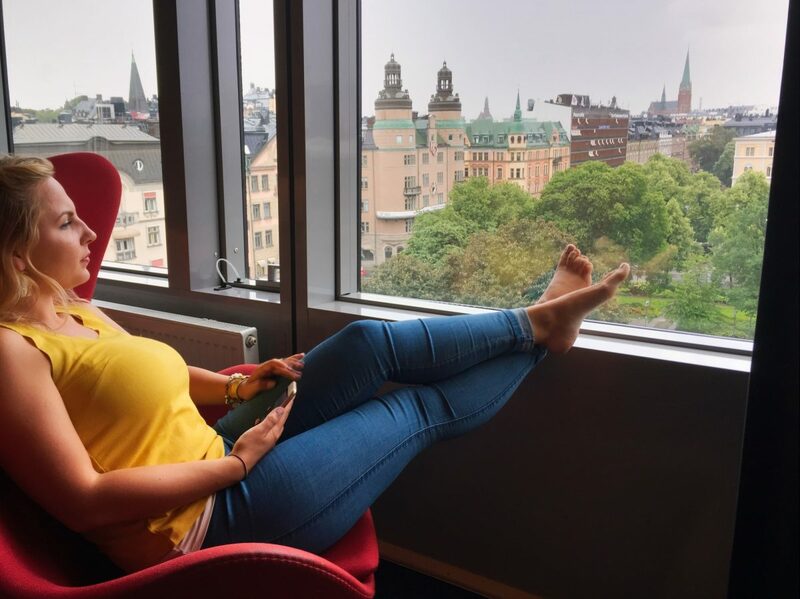 At Clarion Sign if you book a Double Superior room – as we did – you get to enjoy amazing views over Norra Bantorget square and Stockholm’s City quarter. Double Standard rooms, on the other hand, face the inner patio of the building. Breakfast at Sign is probably the best breakfast buffé in town for a hotel in this category. Even non-guests come here just to enjoy breakfast, specially during the weekends. The buffé offers not just typically Swedish dishes like (pickled herring, salmon, prinskorv sausages or äggröra) but also international and the cook at the bar is always ready to make you a fresh omelette on demand. 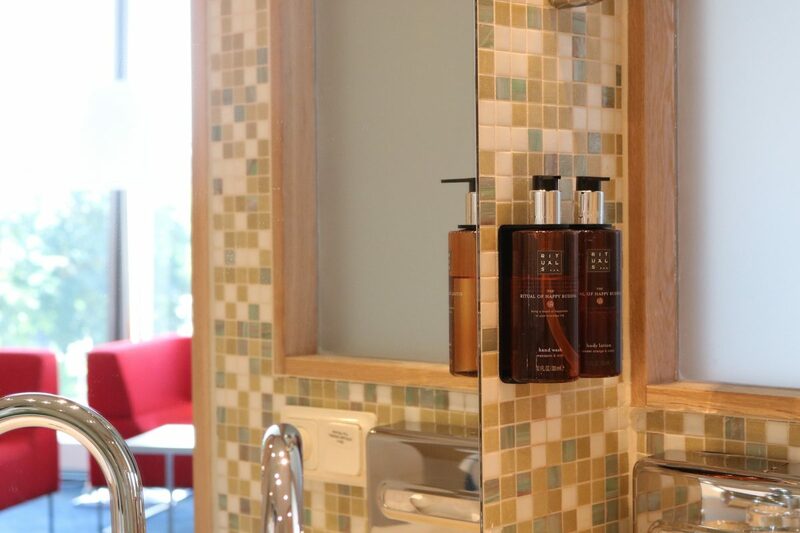 There are many other smaller details that make your stay more enjoyable. A little one that we really loved was all the amenities (shampoo, gel, body lotion) are provided by a high quality brand like Rituals and smelled wonderfully. Other details: express check out with the help of ac omputer if you are in a hurry, sport activities planned for hotel guests like group running on Wednesdays at 7 AM, personal trainer on Mondays at 5 PM or yoga sessions. There are even table games like Twister and others available for the kids to play while their parents relax upstairs. Every Wednesday evening during the summer between 5 PM and 9 PM a DJ plays music at Clarion Sign’s terrace on the 8th floor. Unsurprisingly, Clarion Sign is deeply linked to music. 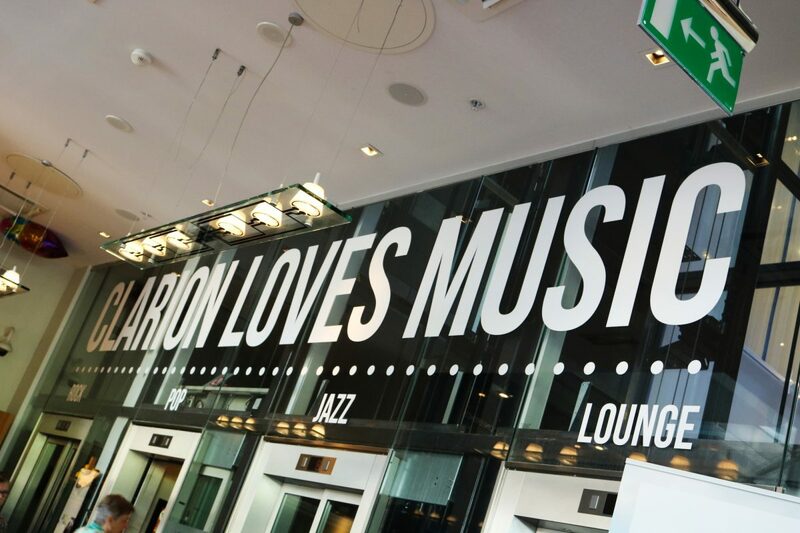 Did you know that music being played at Clarion Sign is the same played at every other Clarion hotel in the world? Simultaneously! Even lifts at Sign are related to music by having each a different music style to enjoy while heading up / down on them. There is even a DJ turntable to play with while on the lift. Those of you looking to relax after some tourism in Stockholm have to head for 8th floor. There you will find the amazing Selma Spa with beauty treatments and outdoor pool open year round with useful opening times (8:30 AM to 9PM weekdays and 9 AM to 7 PM Sundays and holidays). But I will write in depth about Selma Spa in a different article. Clarion Sign has also a rooftop bar available (depending on weather!) 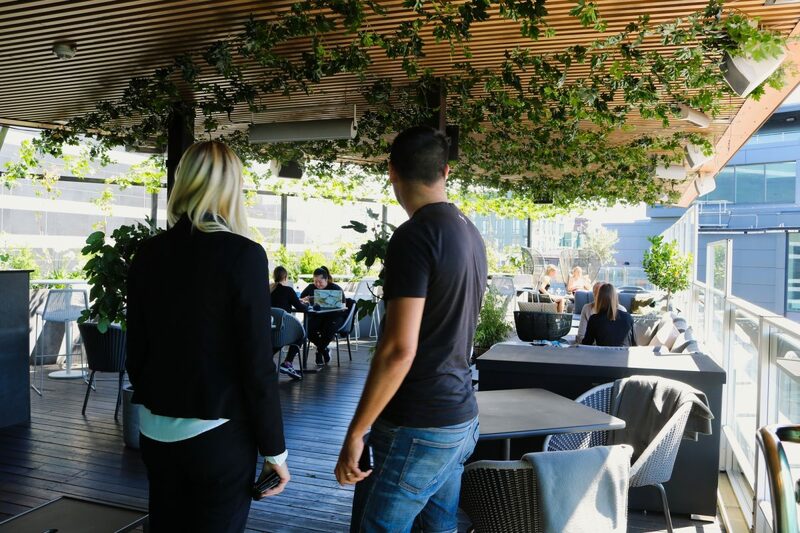 where you can enjoy beer, cocktails and something to eat while enjoying fresh air and a great atmosphere. Just a couple of tips more before concluding. If you are traveling by car there is a public parking lot – managed by the city of Stockholm – under Clarion Sign with direct lift access to the hotel. Overnight stay costs around 120 SEK (12 €/$14/£10.3) while a flat-rate 24-hour stay is 280 SEK (28 €/$31.50/£24). You should take into consideration that public parking in Stockholm is expensive with some places charging 40 SEK (4€/$4.5 /£3.5) hourly. Maybe leaving the car at the hotel is your best option. For digital people out there: Nordic Choice app (AppStore and PlayStore) lets you do everything digitally through your mobile phone (and I mean everything). You can check in, check out, pay, operate the lift, open your room or even chat with staff at Sign to help you with your needs. Our experience at Clarion Sign has been great and the hotel has earned a spot among my favourite hotels in Stockholm. We can recommend it to young couples visiting Stockholm for 2 or 3 days and wanting to be surrounded by an international atmosphere (such a big hotel is always crowded with people from all over the world). It is also suitable for families with kids or teenagers who want to enjoy large rooms, few transfers and good access to Stockholm’s city center.